Thanks Jude. I updated the post with the reference you mentioned. 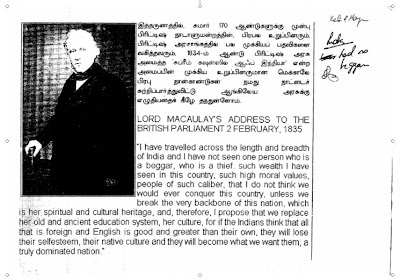 Every word in this so called Maculay's writing is fabricated. India would have been better off if the British were still ruling us. Today we live under the governance of a crime syndicate here. The situation would have been quiet healthy if the British were still here. I wish they once again take over us. British Raj was rightly called the dark age for our country as not only did we lose our sovereignty but also lost our pride of spiritual excellence. The inventions by Britishers have only increased material fake happiness.....we have lost our spiritual joy... It is a pain to see people endorsing the Britishers....because they are tired of the British stooges in India (Congress...and other parties who spend crores of rupees to get elected). The British were able to rule over India because they always maintained high ground of morality. US is also trying to keep high ground of morality in Iraq but still finding it difficult. I wonder how challenging it would have been for Britishers. After independence, the economic gap of India compared to western countries have widened significantly. Thanks to Nehru, Gandhi family, politicians such as Mulayam, Laloo, Karunanidhi etc. Looking at the current crop of politicians, I think the pre-indenpendence politicians would not have been any different. I donot understand why in India we start worshiping people after they die(i.e. 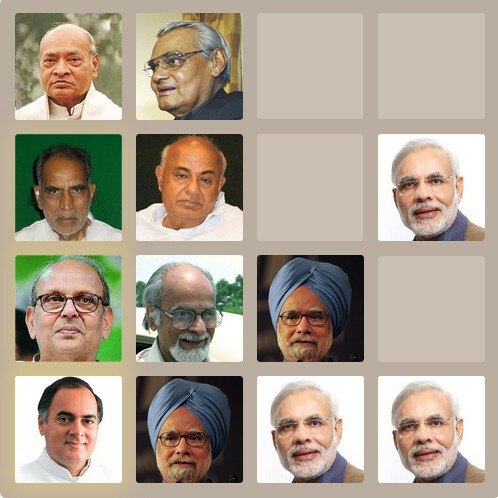 pre-independence politicians). Thanks to those politicians, the only people who benefited were their next generation. I can't say about Britishers, but certainly Americans have higher degree of morality and more human in nature. They are practically not corrupt and believe in doing their duty honestly. "Thanks to Nehru, Gandhi family, politicians such as Mulayam, Laloo, Karunanidhi etc. " Laloo has shown the courage to turn around the railways and given so much profit to the nation that no one has done before. Let him rule India for a tenure and I am sure he will turn around India. Congress has done nothing but damaged the borders of India and its integrity. Earlier India was a British Colony - but now it is a Italian colony. The last one of Macauley is a mere hoax, and a lie. He came to India in 1834 and left in December 1837 and reached London in early 1838. So if he was in India during 1834 to 1838, how could he deliver a speech in the British Parliament? Apply your mind. Be informed. Though its a different issue that what he did in India regarding his controversial education system and the penal code, such fabricated pictures and stories will or can not change the history!